I am trying to create perfect environments by researching the natural conditions of plants. 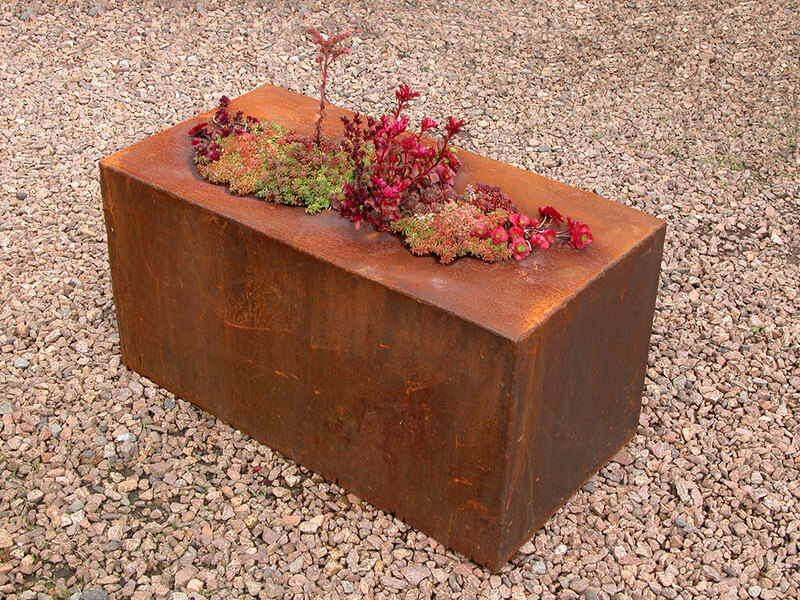 This version has a selection of sedum and alpine plants, perfectly adapted to Scottish conditions. This sculpture is part of my no-maintenance series as it will look after itself.